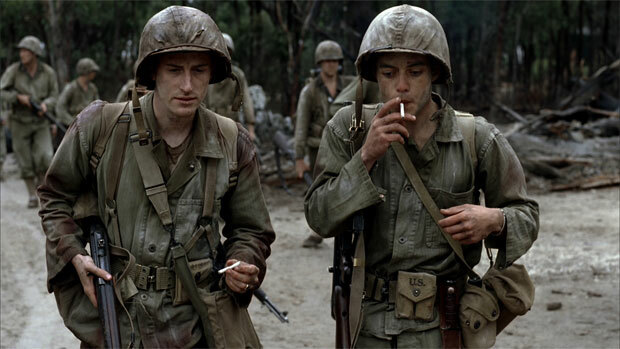 Just like Band of Brothers, The Pacific is another extremely well made and epic TV mini-series that was created under the support of Steven Spielberg and Tom Hanks with directors David Nutter and Carl Franklin. 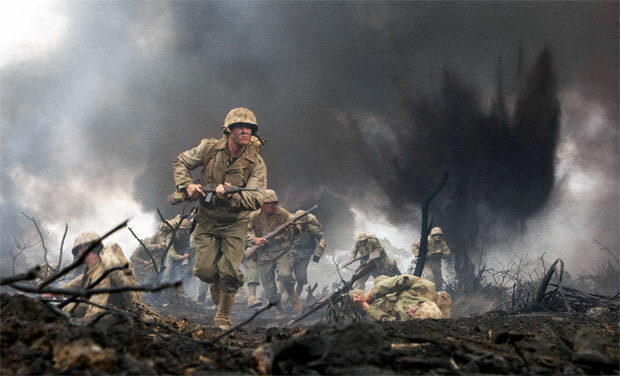 Unlike Band of Brothers that was set in war torn Europe, this story is based in the Pacific during World War II and revolves around three US marines that include Robert Leckie, John Basilone and Eugene Sledge. The 10-part series traces quite a few historic moments of the Pacific Theatre Operations for the Americans such as the arduous trek through the rain forests of Cape Gloucester to the deadly beaches of Iwo Jima. At times, it's almost like an interactive documentary... but I mean this in a good way! Best of all, this series really portrays a wealth of emotions through the eyes of these soldiers such as their first encounter with the Japanese and how some US soldiers tortured the surrendered Japanese to their return home after V-J Day, it encompasses a wide variety of the war. However, it's quite a psychological and ardent tale that does not glamorise war on either side but rather cements the horrors of World War II from all. 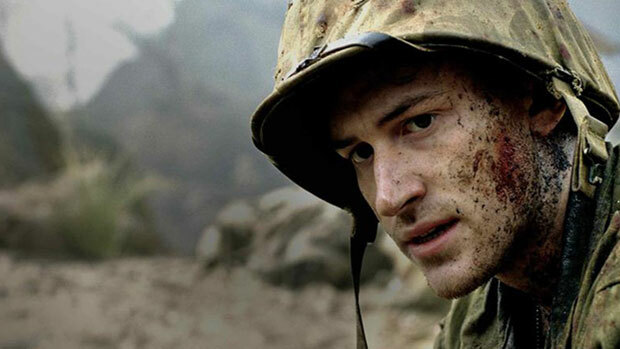 There are a variety of realistic locals, special effects and displays of brutality but the stars of The Pacific are Bob Rumnock, Toby Leonard Moore, Joshua Biton, James Badge Dale and Joseph Mazzello who capture the characters they play with humility and realism. In relation to realism, The Pacific is actually based on four different World War II memoirs of actual soldiers during this blight on history. The memoirs include Helmet for My Pillow by PFC Robert Leckie, Red Blood, Black Sand: with John Basilone on Iwo Jima by PFC Chuck Tatum and Corporal Eugene Sledge's With the Old Breed: At Peleliu and Okinawa & China Marine: An Infantryman's Life after World War II. Four amazing tales no less that have been successfully converted to TV. This series has made me want to hunt down the originals in order to read their accounts. War is the heart of this series and the battles of The Pacific are played out like a Hollywood movie and no corners were cut in the production here. Whether it's the producers mimicking the landing of Iwo Jima or the battle in Okinawa, the accuracy is unparalleled in this series. With that said, The Pacific is not an enjoyable piece of TV due to the content of the stories and atrocities of war. After each episode, I felt emotionally overwhelmed as it was like catching a glimpse into the true soul of humanity that has the power of life and death. I'm guessing that this is because of the eerie realism of this production but nonetheless it made for a captivating and quite memorable experience as we follow these sometimes yet flawed yet human soldiers. Once again HBO continues to release high quality productions and this 6-disc collection comes with an exceptional 1080p transfer that looks magnificent on FULL HD. Even though the colours are bright and the images are sharp, there is a slight effect that makes things look a little older than they actually are which suits the premise perfectly. For a TV release, the quality of this Blu-ray is amazing and the attention to detail has probably never been this good. Whether it's the sweat dripping from the marines or the individual drops of rain or debris flying through the hair from huge explosions, the clarity is indeed jaw dropping at times. Audio supports DTS-HD Master Audio 5.1 that makes thorough use of your surround sound. At times, it's almost like you are in the middle of a fire fight as bullets whiz pass your head or you can hear the subtle sounds of the animals in the jungle, it comes together amazingly for a TV made series. There are no errors whatsoever in this release and I would have to say that this is true reference material. For special features, the release comes in a very cool metal case that looks quite "military" and of course a wealth of entertaining extras. There is an enhanced viewing experience that uses Picture-in-Picture while the series is unfolding and gives a variety of informative titbits. There is a 25 minute "Making Of" documentary, an interactive field guide that contains maps, interviews, photos, biographies and dozens of more of engaging snippets of World War II. Lastly we have the Profiles of the Pacific that discusses the real Marines from the series that include John Basilone, Eugene Sledge, Robert Leckie, Sidney Phillips, R.V. Burgin and Chuck Tatum, through Historians and family members. The only disappointing aspect of the special features was the ten minute Anatomy of the Pacific War featurette that gives the viewer an all too short introduction to what led to the war in the Pacific. But still, this is what special features should be about and HBO have outshone themselves again. 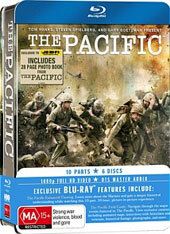 If there is one series you buy this year, than The Pacific Blu-ray edition should be that series. This production is first class from start to finish and will sit proudly in your DVD/Blu-ray collection. The only thing that I'm annoyed at is that I missed it the first time around on TV. Nonetheless, here it is on Blu-ray and if you have seen the series before, you will still thoroughly enjoy it again. This is one collection that I'm eager to watch again and again. Highly Recommended!